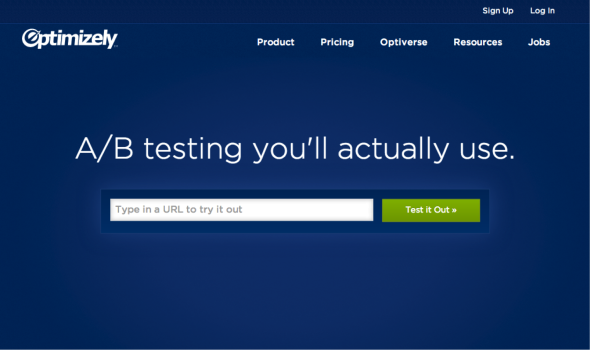 Five shocking examples of growth hacking experiments that were just crazy enough to work. Looking for More Growth Hack Examples and Tips? Turning your homepage into a stripped-down sign-up form is a bold move. It’s also a brilliant one. As my colleague Blake Bartlett explains, reducing “time to value” is one growth strategy that all fast growing startups must embrace. The faster you can get a user into your product, the faster they can start to see value. Optimizely built their lead generation machine on this principle by focusing their homepage on just one call to action: enter your website. Three clicks later, you are using their product and being marketed to. But because Optimizely realizes the importance of reducing time to value and making their conversion funnel as frictionless as possible, they’re also testing new ways to use other channels, not just their homepage, to acquire new users. 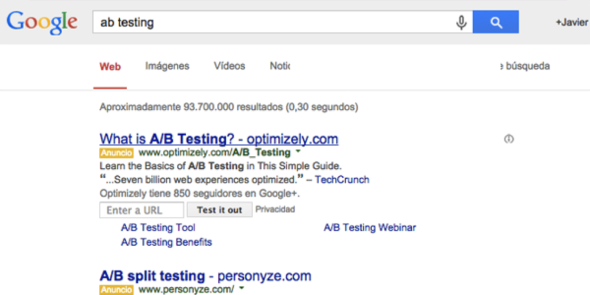 Inviting new users to test their product by simply entering their URL in an AdWords ad. Cutting out free trials for your basic options may seem risky, but hear me out. 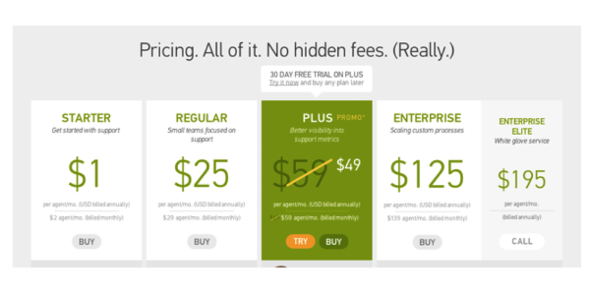 Many B2B SaaS companies offer different tiers of their product with different price points and feature sets. 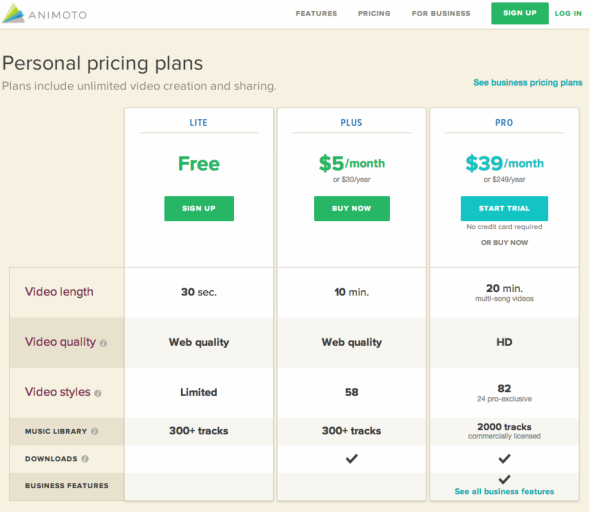 Zendesk realized that getting users to use features only available on higher plans during a free trial increased the chances that that user would stay on that higher priced plan instead of downgrading to a cheaper plan. Every B2B marketer knows to take every opportunity to make content that’s part of a conversion funnel relevant to the persona that’s consuming it. While most companies incorporate variables like industry, job function, and company size — all traditional variables in a B2B persona — Pipedrive is taking a page out of the B2C playbook and improving conversion rates by presenting geo-targeted testimonials to their prospects. When I visit their site from an IP address based in Massachusetts, I’m presented with customer testimonials from companies based in Massachusetts, United States. However, when I enable a VPN connection, get a United Kingdom based IP address, and visit the same page, I’m presented with customer testimonials from companies based in the UK. Sure, that’s effort spent on something some may consider minor, but when you’re optimizing for conversion no detail is too small to dig into. 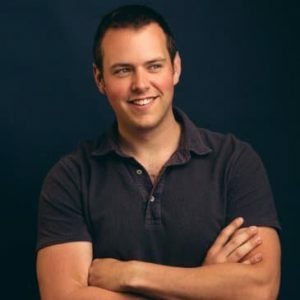 Note: These next two hacks are courtesy of Patrick Chukwura, co-founder at Autosend.io, who put together a great list: 28 Clever Under the Radar Growth Hack Examples. One of the biggest pain points for B2B companies is finding and getting in front of the right decision makers in their target companies. It can require hours of research and can take weeks (or months!) for reps to get past the gatekeepers. 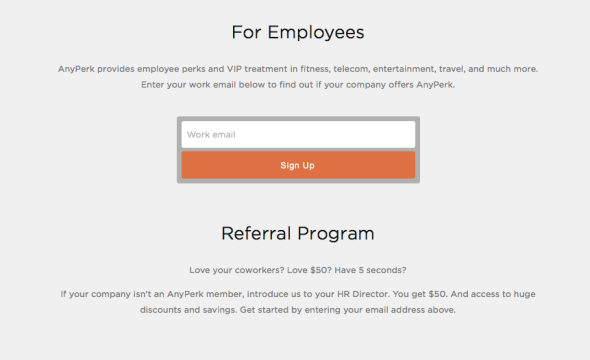 As Chukwura explains, employee perk and discount company AnyPerk is taking a different approach to skip all that with a clever referral program. Rather than waste time butting heads with gatekeepers, they offer target company employees $50 for introductions directly to their HR Directors/office managers. Few of us would turn down free press or reviews. But are you actively doing anything to make that easy? 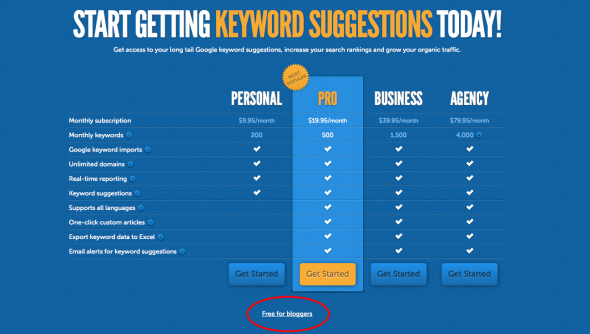 SEO app HitTail makes it crystal clear that the tool is free for bloggers by saying so right on their pricing page. As Chukwura notes, HitTail could take this one step further by providing a simple form for bloggers to enter their URL, which would be pre-qualified against Alexa rank or any other metrics they found important. Qualified bloggers could then get access to a press page with everything they need to start writing a post (screenshots, feature list, logo, etc.). The end result is a win-win. But here’s one question — why limit this to bloggers? Maybe there are other key influencer groups you can offer a free experience to in order to help get the word out and access key decision makers.